Rajkummar Rao has always been vocal about his love and respect for Bollywood superstar Shah Rukh Khan. Here's is the viral video in which the two stars are seen dancing together. Bollywood’s finest actor Rajkummar Rao has always been vocal about his love and respect for Bollywood superstar Shah Rukh Khan. He claims himself to be a big SRK fan and recently his dream came true when he got the chance to shake a leg on the actor’s most popular song Chaiyya Chaiyya on the stage of Filmfare 2019. 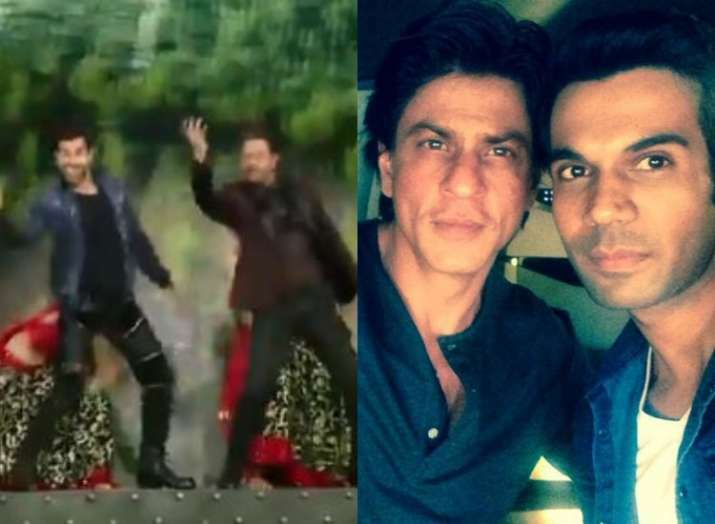 While fans are yet to see the awards night as it will air on television next weekend, Rajkummar Rao took to his twitter to share a clip in which he is seen dancing with Shah Rukh Khan.